I've been to Sienna Restaurant before for my birthday, and it was good! Overall, I liked it, so B and I decided to grab lunch here to try some of their other menu items. 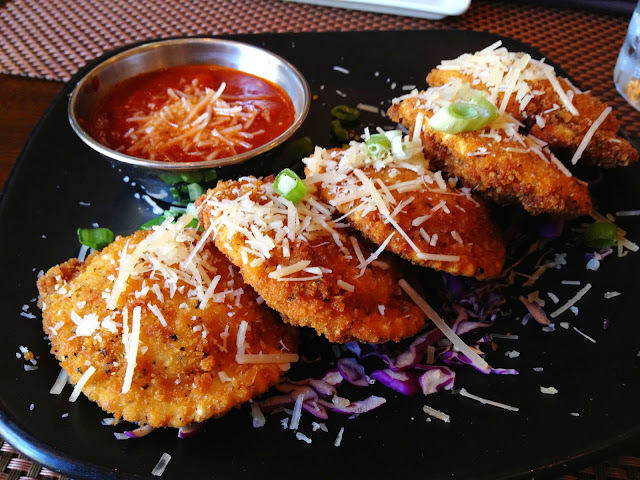 We ordered the Toasted Ravioli as an appetizer. These were really good, and the sauce was perfect. A delicious marinara to dip them into. 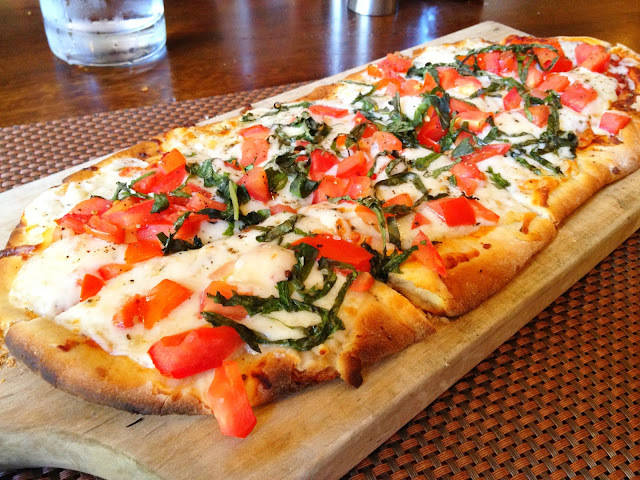 I ordered the margherita pizza and it was pretty good. Needed a little salt, but otherwise tasty. 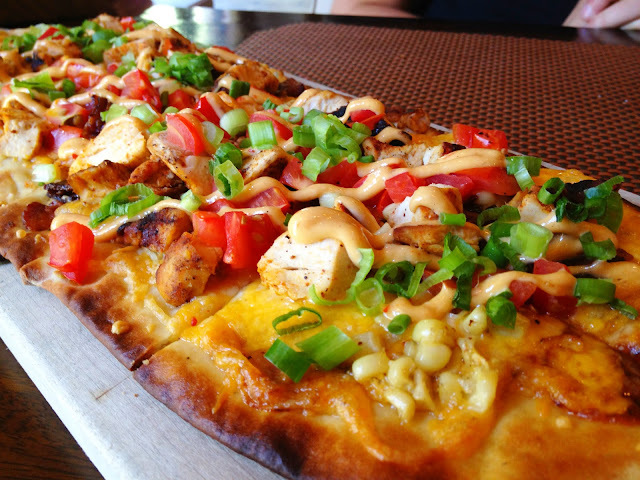 B ordered their Chipotle Chicken pizza, because one of his favorite condiments is chipotle anything, chipotle mayo especially. This pizza was better than mine, luckily I managed to negotiate a trade of some of my pizza slices for his. Very good. I will note that, I went back another time to this same restaurant, and we ordered this same pizza and it wasn't the same shape and didn't quite have the same burst of flavor I remembered from the first time. I don't know if the restaurant had a chef change or they just started doing the pizza recipe differently, but I wasn't as happy with the pizza the second time around. 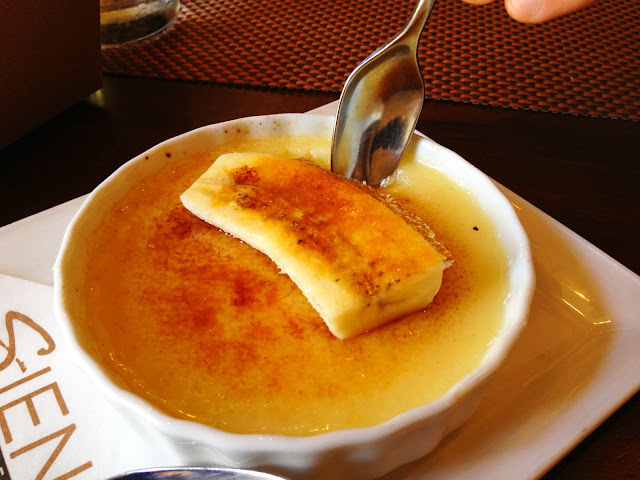 Lastly, we ordered dessert, Banana and Coconut Creme Brûlée. It was a good decision, because this was a welcomed change to the traditional creme brûlée dish. It was very good, and I would definitely order it again. Creme brûlée is one of my favorite classic desserts. The next day, I had some of my pizza leftover, and I added some of that roasted garlic I bought to it and reheated it in the oven. 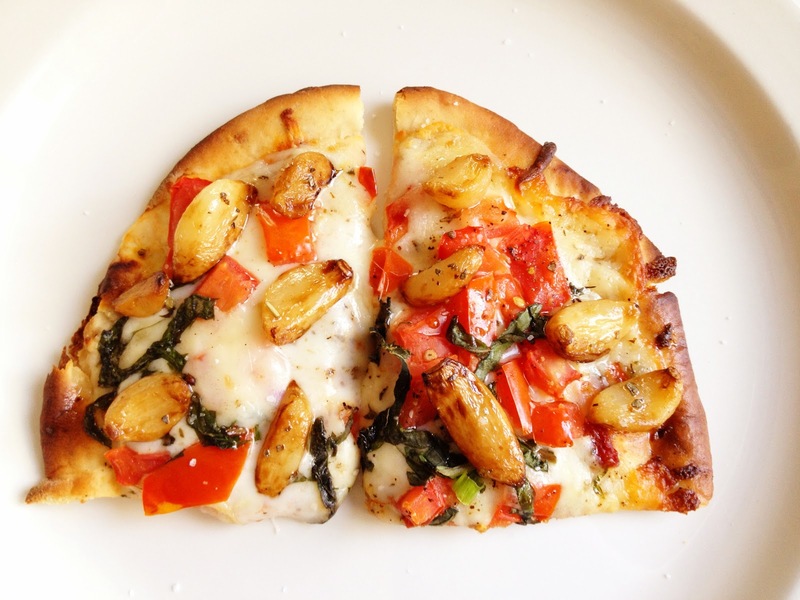 It was even better than at the restaurant, and the roasted garlic addition was a great idea. This is still one of my favorite photos I've taken, and one I'm pretty proud of it. It still looks so good, I want to eat that pizza!